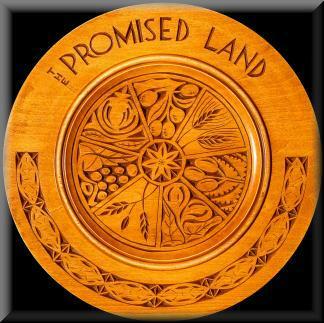 Promised Land Plate- This bass wood plate features the 7 species encircling a 7 sided rosette. The border represents the Sabra cactus, a more modern symbol of the Land of Israel. Size-12" round.